Volunteers still needed for Spring Enrichment to cover students from dismissal at 3:10 until enrichment class starts (3:30). Volunteers needed especially Mondays and Wednesdays. Please login and click on Volunteer above. Thank you! The Brain Show has the authentic look and feel of a real live TV game show complete with colorful podiums that feature computerized lights and sounds. Join us for an evening of fun in the All Purpose Room at Ann Blanche Smith at 7pm, May 3rd! Plant Sale just in time for Mothers Day! Plants from local growers and also plants available grown from our 4th Grade green team! 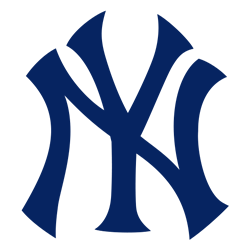 Discounted Yankee Tickets - 5/19 1:05pm start against Tampa. 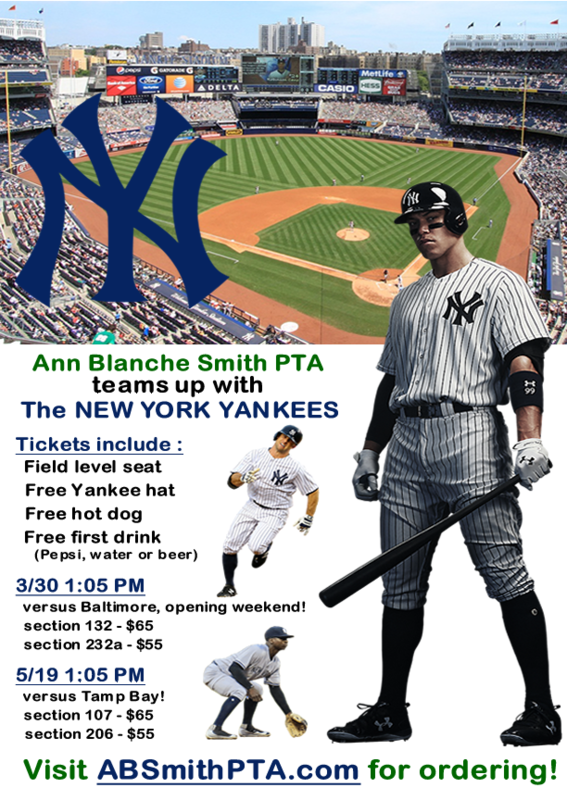 Tickets include hat, hot dog and a free 1st drink. Seats are Field Level near the right field foul pole. Great fun seats. Click on Shopping Cart below flyer. 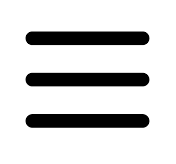 Click here to order for Yankees game 2. 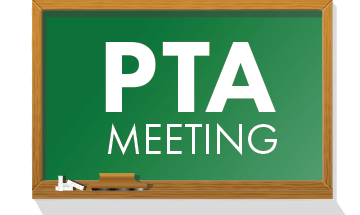 PTA Luncheon for teachers, staff and all PTA volunteers. 4th Clap Out. Wishing our 4rth graders a fond farewell! Just this year (since September) - in addition to making the rooms cooler, the PTA has paid for the lovely hallway quotes (thanks Mrs Harris! ), a medical cart, multiple assemblies, an environmental awareness program, an author visit, books, a rock project, one book/one school, extra school supplies, theater week, and other purchases. We have also run the Trunk or Treat, a book fair, Theater week, and a toiletry and gift program for families in need to name a few. We also have the upcoming Winter Workshops (GW) and Funtastics Program here at ABS. 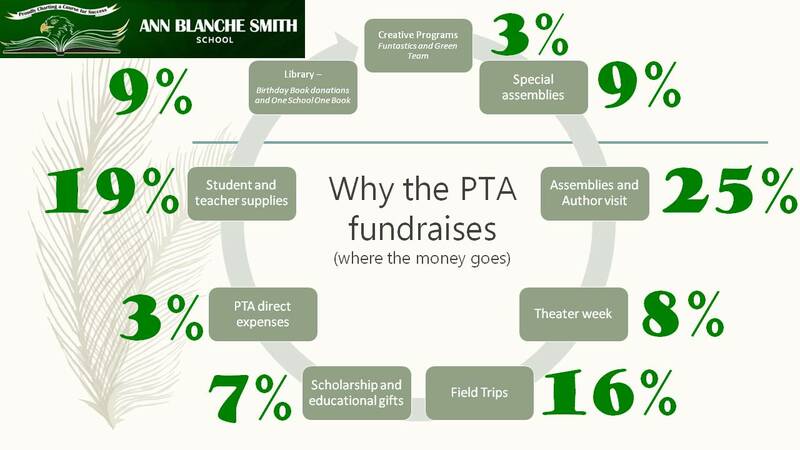 WE NEED PEOPLE TO TAKE OVER THE PTA NEXT YEAR! 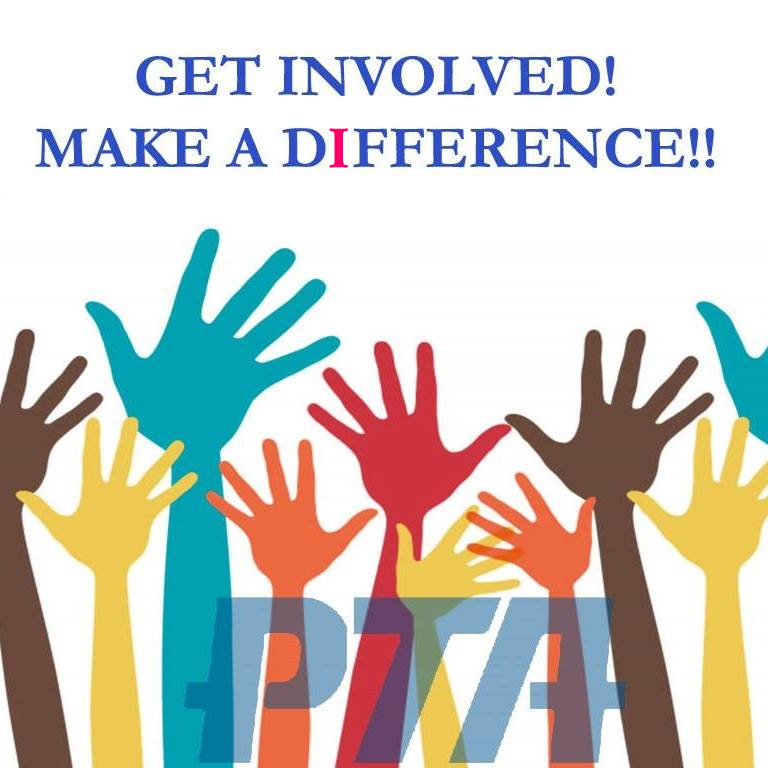 Volunteer and/or support your PTA. It does so much and does needed work! To supercharge your involvement, please login and click on the VOLUNTEER tab -or- email us today. Your financial contributions pay for many needed things. But your volunteer time is priceless!